Campion's international ELL program is designed for students to graduate with a college-preparatory diploma in four years. Campion Academy encourages students to be involved in a variety of extracurricular activities and has excellent programs in music, sports, service, and an active Outdoor Club. High-achieving Campion Academy students are selected to work as International Ambassadors with our international students. The Ambassadors meet with international students daily to provide tutoring, cultural lessons, conversation practice, and to help them integrate into student life and activities on campus. Campion Academy offers four levels of support in the English Language Learner (ELL) program. Each student receives the language instruction they need and support in their content area classes. Students are given a placement test (iTEP SLATE) at the beginning, middle, and end of the year to determine their level. Campion offers a College Preparatory Diploma, designed to prepare you for success at college or university, and an Advanced College Preparatory Diploma, designed to get you started on college courses before you graduate high school. Jill Harlow has a Master's degree in TESOL (Teaching English to Speakers of Other Languages) from the University of Southern California, and a Bachelor's degree in Intercultural Communication from Southern Adventist University. Over the past 10 years, she has been teaching English to students at a variety of levels and ages, including college ESL courses at Plymouth State University, New Hampshire. 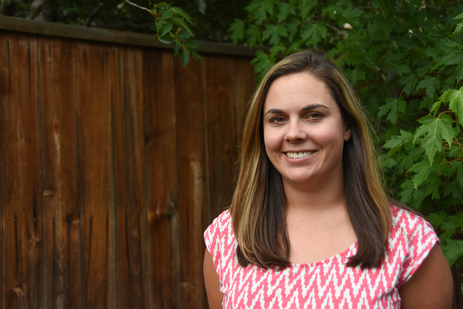 She moved to Colorado in 2015 and is excited to be working with the ELL program at Campion. In her free time, she enjoys outdoor adventures with her family. Patricia Velasquez-Torres has been the Learning Resource & English Language Learning Director at Campion Academy 11 years and has a Masters Degree in Education from the University of Colorado at Denver as well as a Bachelor of Arts Degree in Speech/Language Development from the University of Colorado at Boulder. She used this training to complete certification requirements of the Rocky Mountain Conference to teach English Language Learners. When not on duty she enjoys being with family, and is currently learning to tailor and draw.